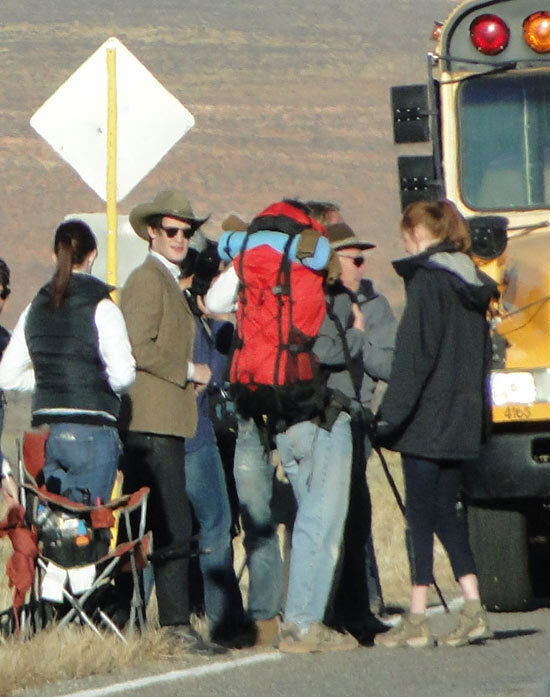 So if your like me and just got free of the Pandorica – Damn Daleks – then you may not have heard that Matt Smith and crew were in the US filming the season premier. Ok there is your warning. Here is what we got. The Premier is filmed in UTAH!! It will be a two-part opener and it will involve MEN IN BLACK!! Also Fez’s are no longer cool, cowboy hats are! 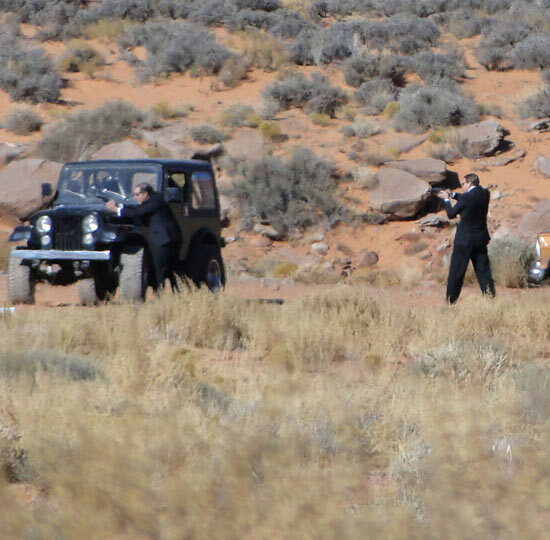 The episode will have Men in black with guns, similar to what we’ve seen in SJA, and a Jeep in the desert, Amy running away from something with mysterious black marks all over her arms, The Doctor in a cowboy hat as he and Amy prepare to board a school bus full of what appear to be tourists, and an image of a red helicopter. This entry was posted in 42 Screens, TV and tagged 2011, amy pond, Dalek, Doctor Who, geek, Men in Black, MIB, Rory, sci-fi, season 6, series 6, Tardis, Torchwood, TV, utah. Bookmark the permalink.